After a superb Munster derby win over Cork City on Friday last, Waterford FC will be looking to build on that result when the Blues travel to the Brandywell for the first time this season to take on Derry City in the SSE Airtricity Premier Division on Friday with a 7.45pm kick-off. 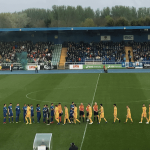 The Blues got the better of the Candystripes on the opening night of the season with a 2-1 win at the RSC thanks to goals from Gavan Holohan and Dean O’Halloran. Friday’s trip to the Brandywell will be a first for the Blues since May 2010 when the hosts won 2-0 in the First Division. 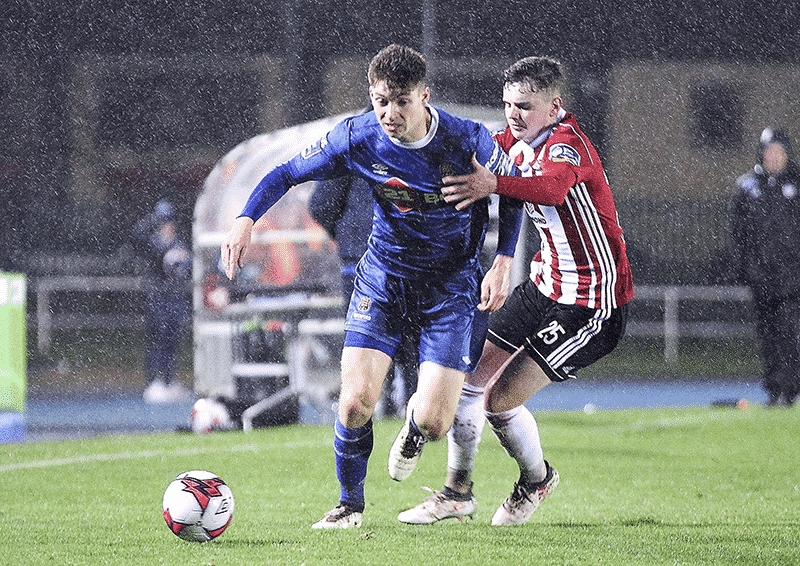 Speaking ahead of the game, Waterford FC defender Dave Webster said, “It’s obviously going to be a very tough game because it’s never easy travelling to the Brandywell. It’s always a difficult place to go. I think that they found their form now with the new pitch and the new stadium. “We know that it’s going to be tough but we’re a close group and we’ll stick together. We’re down a couple of bodies but there are other players that are chomping at the bit to get back into the team, so this will be their chance to make a mark. “The performance in the second half against Cork City was fantastic and I think that we’ll have to put in a similar display against Derry. We were disappointed with the first half because we didn’t do ourselves justice, so it was great to put in that shift in the second 45 minutes. Commenting ahead of the game, Blues defender Rory Feely said, “It’s good to be back after missing a couple of games through injury. I came on against Cork so it was good to get some game time ahead of the trip to Derry on Friday. “It was a great performance that saw us beat Derry on the opening day of the season so we’ll be looking for a similar result in this game. We have a brilliant workrate in the squad at the minute and hopefully that will come to the fore again. 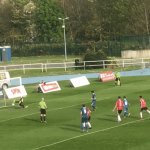 “We know that Derry have improved and they play a good brand of football since the return to the Brandywell so we know that they’ll make life very difficult for us. They are playing on Astro but it’s meant to be of great quality. TEAM NEWS: Waterford FC Alan Reynolds will be without the services of Bastien Héry and Stanley Aborah as both players will miss out due to suspension. There’s no injuries concerns for the Blues ahead of the trip to the Brandywell.